Ideally, you’ll always have a firearm or knife when stranded in the wilderness or stuck in a precarious situation in which we had to defend our own life. But of course, you never know when you might find yourself without a man-made weapon, and you’ll have to improvise. These are a few ideas for ways to use your environment to protect yourself from an attacker. 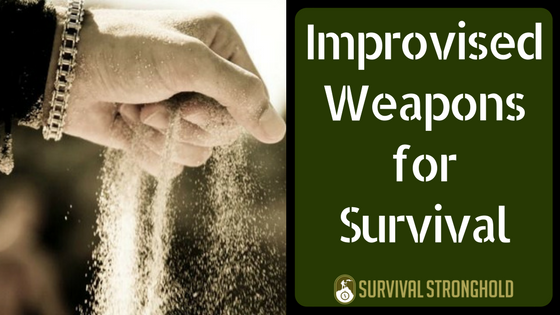 How to use sand or dirt for self-defense is a great thing to know in general, and could always be incorporated into any self-defense situation. 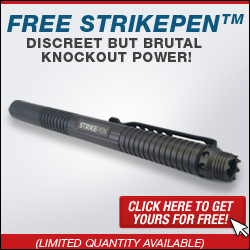 You’ve probably seen it in the movies, and it can work great for sure! 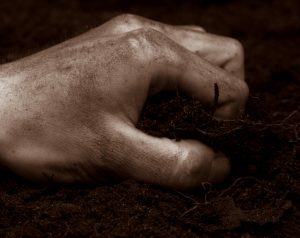 In a pinch, if you can grab a handful of dirt or sand and throw it at your attacker’s face, do it. Animals and humans alike will definitely be debilitated for at least one crucial life-saving moment with even a few pieces of debris in their eyes. The eyes are where you want to aim, and naturally, the smaller the predator, the more effective it will be. From insects to wild boards, there’s always a chance this might work incredibly well to buy you a little time when faced with something or someone trying to hurt you. Probably the first weapon known to man, rocks are classic and can be utilized in many different ways. 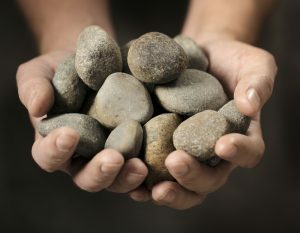 Like with sand or dirt, you can always throw a handful of pebbles or small rocks at an attacker to distract or deter them, and you can use large ones to seriously bludgeon something. There’s a use for rocks of all shapes and sizes when it comes to self-defense. If you want to keep rocks in your hands to throw, this will be most effective if you’re confident in your throwing arm and your strength. Take some time practicing before you rely on throwing rocks as a weapon to rely upon. 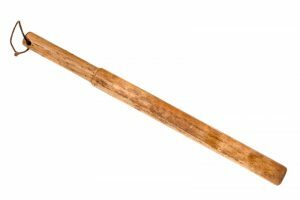 I discussed throwing sticks for hunting awhile back, and these can always be used for self-defense as well. You’ll want to apply the same basic principles. Pick out the most naturally slightly curved, smooth piece of wood that you can find, that has some weight to it and seems like it would hold up relatively well if hurled at something at a high speed. Practice throwing it at an improvised target, and whip it over your shoulder while pointing your non-throwing arm at the target. Or, if you’d like to increase the damage potential of your throwing stick, sharpen both ends into points. Another pre-historic classic, clubs are an ideal type of weapon to improvise, since you can make them out of a wide range of materials. A thick piece of wood with a knotty end is great, and probably your best bet in the wilderness. However, if you are in an urban environment, there are any number of potential pieces of damaged buildings, tools, or other debris you could potentially use as a club. 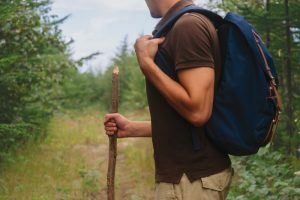 Whether you have a tree branch, animal bone, or some kind of man-made improvised club, what you’ll want is something a bit longer than your forearm, ideally, and with one end heavier than the next. This can be used to, well, swing around and whack people or animals really hard, and hurt them. You don’t have to be too skilled, savvy, or have good aim, just make sure you practice it so you have a feel for it, and momentum will do the rest.